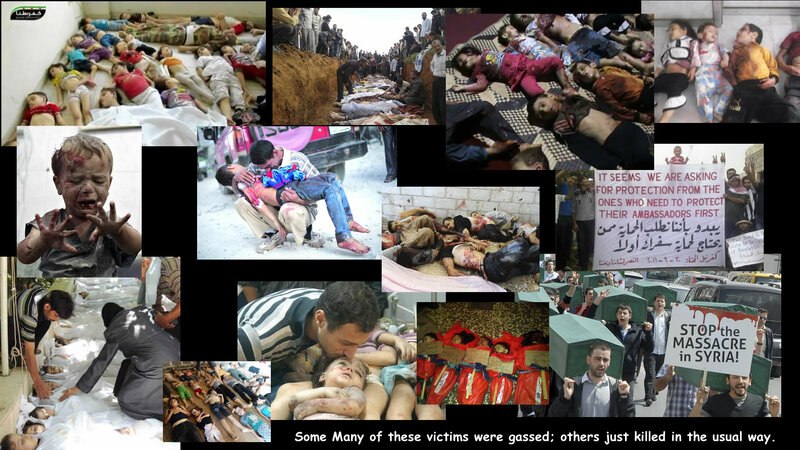 And still it goes on ….. innocent children massacred …… unbelievable. I find it hard to forgive China for supporting this disgusting regime. Sources told the Yonhap News Agency it is unclear exactly when the family members were killed, but they are believed to have been put to death after Jang’s execution on December 12. 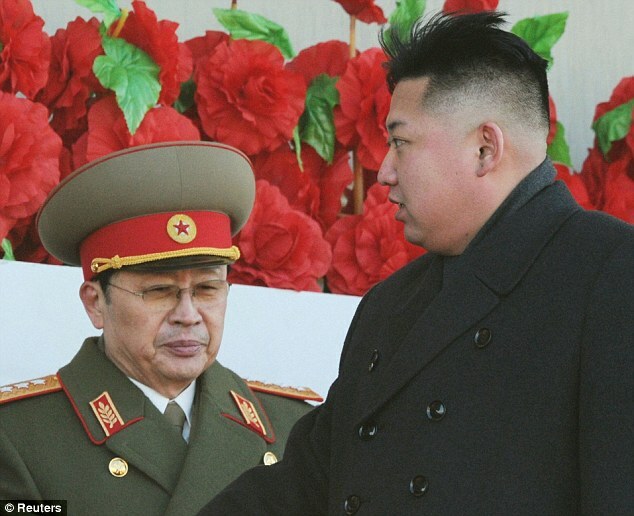 ‘Some relatives were shot to death by pistol in front of other people if they resisted while being dragged out of their apartment homes,’ a source told Yonhap.Among those allegedly executed were Jang’s sister Jang Kye-Sun, her husband and Ambassador to Cuba Jon Yong-Jin and Jang’s nephew and Ambassador to Malaysia Jang Yong-Chol, as well as his two sons. WOW!! A “binding fiscal commitment”!! That sounds suspiciously like a Brownite “pledge”, even a “reinforced and binding pledge”. And what will the “binding” consist of? Which gruesome punishment will be meted out to Balls et al if they DON’T balance the budget? 10 hours of HOC Community service – serving the tea or something? And of course if you behave yourselves for the first 5 hours you get off the second 5. And isn’t it miraculous that Balls spend 13 years toadying up to Brown when the idea of balancing the budget would have been treated as preposterously stupid? It really is funny how one era’s perceived wisdom becomes the next generation’s execrable lunacy – and vice versa of course, which at least gives me some hope. But as soon as he was elected he carried on like Sarkozy only with the ADDITION of over SEVENTY NEW OR INCREASED TAXES!! And NOW, after 18 months thought in between the shagging sessions, he has come up with THATCHERITE policies about cutting the state, reducing taxes and costs to employers!! Form lunatic socialist to responsible Thatcherite in 18 months, just like Balls!! You REALLY could not make these people up, which is why your average pleb is sick to death with the lot of them. PS Cameron’s “pledge” re an EU referendum has been sunk by Labout and the Lib-Dem Lords! WOW! A) What the heck are “Lords” doing in our constitution anyway? Unelected cronies on 300 GBP a day attendance money? “Turn up, turn up – get your free public money here while voting down the elected HOC! !” – And Mandelscum is one of your Lords! That REALLY is an insult. 11,000 detainees in regime jails comes from just one area of Syria. A) The evidence is sound, but nothing new. Assad’s role as a family-dynasty, mass-murdering gangster thug is well-known. He also passed a red line by gassing a large number of people in this very war. However, with a bowl of jelly in the White House, nothing seems likely to change. Oh, we might supply some more “non-lethal material” to the FSA to help them die more slowly from their wounds. B) Putin regrets the passing of the USSR, the regime that murdered 16,000 Poles in Katyn Forest and tried to blame it on the Nazis. The only thing to be concerned about with Putin is exactly when he is going to send the Red Army over the border to reclaim his lost Empire. The original rebellion was by more or less ordinary Syrians fed up with living under brutal fascism. In the 30s, even left-wing intellectuals applauded those who went to fight in the international brigades against fascist Franco, but now we are made of much limper-wristed stuff. OF COURSE, with the Russians and Iranians supplying LETHAL weapons and Iran even sending thousands of men, the FSA was countered, and since then the extremely nasty AQ has got in on the act, which was TOTALLY PREDICTABLE. Now there are reports that Assad is even secretly AIDING the AQ lunatics (along with the Taliban possibly the only element on the planet nastier than Assad’s regime) against what is left of the FSA. The free world should stand up more against dictators. We can’t do EVERYthing, but what we have done has been pathetic and unbelievably STUPID. It has not only helped to prop up a truly murderous regime but also allowed the training by AQ of jihadis who will one day soon blow themselves up in Central London and elsewhere. The “Peace Conference” is a fatuous waste of time. No “negotiations” are possible as long as either side thinks it can win. Given that Assad has unlimited arms from Russia, support from Iran and a total lack of serious reaction from the free world, he will clearly think he can win. UNICEF reported that over 500 children had been killed by early February 2012. Another 400 children have been reportedly arrested and tortured in Syrian prisons. Both claims have been contested by the Syrian government. (WHAT A SURPRISE!) According to the UN, 6,561 children were killed by mid-June 2013. The Oxford Research Group said that a total of 11,420 children had been killed in the conflict by late November 2013. 24 November, 2013: A fierce battle in the eastern suburbs of Damascus has killed more than 160 people in the past two days as rebels struggle to break a months-long blockade by forces whose allegiance lies with President Bashar al-Assad, activists have said.Fighting began on Friday when rebel units attacked several checkpoints in an area known as the Eastern Ghouta, which has been under siege for more than six months. According to local and international aid workers, President Assad’s forces appeared to be trying to starve out residents. This latest bloodshed comes as the Oxford Research Group – a think tank – says that a total of 11,420 children have now been killed in the conflict.The report shows that explosive weapons have accounted for more than seven out of every 10 deaths since fighting started in March 2011. Small-arms fire accounts for more than one-quarter of the total, with older boys in the 13 to 17-year-old group the most frequent victims of targeted killings. Of the 764 children recorded as summarily executed, 112 were reported to have been tortured, including some of infant age. According to the UN, Syrian armed and security forces have been responsible for: unlawful killing, including of children (mostly boys), medical personnel and hospital patients (“In some particularly grave instances, entire families were executed in their homes.”); torture, including of children (mostly boys, sometimes to death) and hospital patients, and including sexual and psychological torture; arbitrary arrest “on a massive scale”; deployment of tanks and helicopter gunships in densely populated areas; heavy and indiscriminate shelling of civilian areas; collective punishment; enforced disappearances; widescale and systematic destruction and looting of property; the systematic denial, in some areas, of food and water; and the prevention of medical treatment, including to children. Amnesty International reported that medical personnel had also been tortured, while the UN said that medical personnel in state hospitals were sometimes complicit in the killing and torture of patients. The execution and torture of children was also documented by Amnesty International and Human Rights Watch. Most of the serious human rights violations documented by the UN have been committed by the Syrian army and security services as part of military or search operations The pattern of the killing, coupled with interviews with defectors, led the UN to conclude a shoot-to-kill policy was operative. The UN mentioned several reports of security forces killing injured victims by putting them into refrigerated cells in hospital morgues. May, 2012: Major Western powers say they are expelling senior Syrian diplomats following the killing of 108 people in the Houla region of Syria on Friday. France, the United Kingdom, Germany, Italy, Canada and Australia have all announced expulsions. Most victims of Friday’s massacre – including women and children – were summarily executed, the UN says. Residents said the pro-government shabiha militia had entered homes and opened fire indiscriminately. I hope the Labour Party is proud of its great achievement in preventing the free world from disabling some of Assad’s air-power and perhaps forcing him to negotiate. You’d defend your neighbour against fascism (I hope) but you won’t help foreigners. If this is not “racism”, then what is? YES, it is complicated and dangerous, but so was WWII, when we were ready to fight fascist evil. Now the left just blathers on about “American Imperialism”. I have had time to think about Hollande’s 180° U-turn, now espousing policies that Mrs Thatcher herself would have been proud of. However, a politician’s words are (since Churchill at least, and after him Thatcher) always detached from reality to some extent or other. “As part of their ‘Responsibility Pact’, employers will take on millions of workers NOW (even if they are busy staving off bankruptcy) and we will set up lots of committees to see how we might make life easier and cheaper for companies sometime in the future, but not before 2017 at least. We will also find ways to cut state spending to the tune of 50 BILLION euros by 2017, and this will be done without sacking a single civil-servant (because they vote for us). Don’t ask me how we will save this money; that is the task of one of our committees, and if they don’t find a way it will of course be their fault. Well, in answer to your question, “What is the point of this charade?”, please remember that we in the French political elite specialize in charades, and this one is intended to give the impression that I am doing something useful during daylight hours, the only time I am available of course.